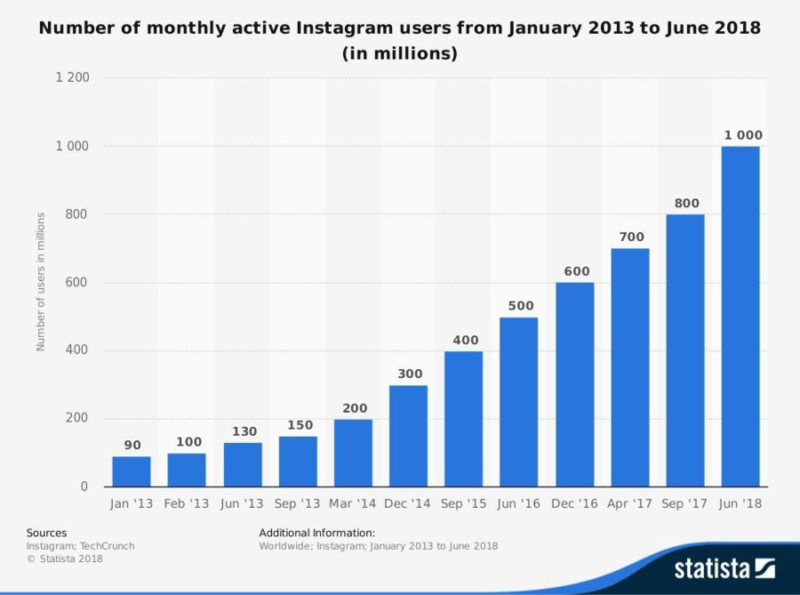 Instagram is one of the most popular social media networks and its power seems to have been growing constantly since its launch date, less than a decade ago. In fact, its growth was exponential during the past five years and, as we can see from the following graph posted by Statista, it has reached a milestone of 1 billion monthly active users as of June this year. This is a huge number, considering that Instagram is surpassed only by its sister social media network, Facebook, with whom it is linked via the advertising platform. 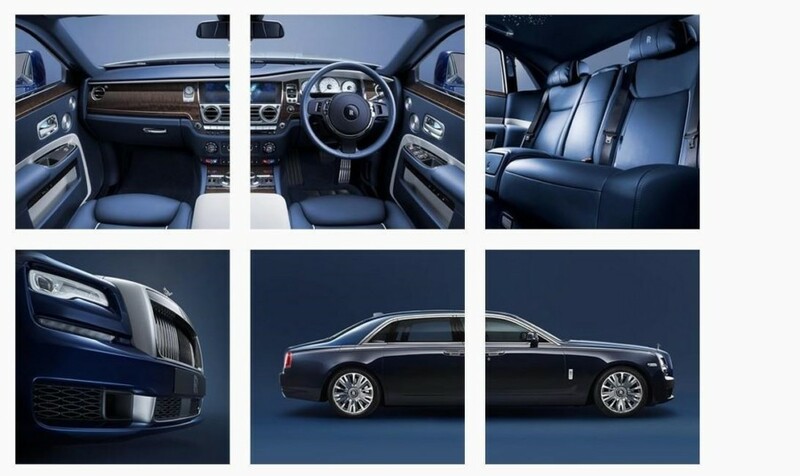 Therefore, if you want to be seen, if you want to be able to transmit a message to the outside world, an Instagram account is not only recommended but also indispensable. This is why, with this article, I will try to pinpoint some of the best strategies for Instagram profile optimization and why they are important for your social media strategy. First, however, let’s talk a little bit about the importance of Instagram as a social media marketing channel. There are more than 4 billion likes per day on Instagram. This is a number to consider before, during and after each one of your individual posts. You get access instantly to a huge audience that is not only there but who at the same time, engages actively with the content. It’s an audience that is interested in what happens on Instagram. This is a good thing if you aim at keeping them interested. 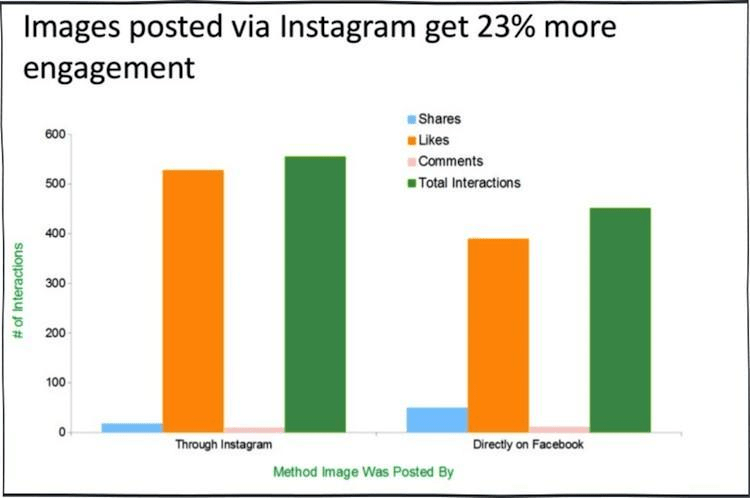 Another important thing you should consider is the fact that Instagram images get an average of 23% more engagement than their Facebook counterparts. Moreover, brands and businesses see an 10 times higher engagement rate on Instagram than they receive on Facebook. Considering that at least 70% of the users are looking up brands on Instagram and follow their regular activity, it’s obvious that this particular social media network is one of the best choices a marketer can make regarding their social media strategy. Let’s start by admitting that Instagram is good for everybody, not just only for businesses and brands. Why? When you are an active social media member, especially on networks such as Instagram, you are a marketer. Whether you market yourself or your business, you need to optimize the account accordingly. It is your window to the outside world, the window everybody looks through and watches over you. Depending on how good you manage to present yourself, you can gain a lot from Instagram or vice versa, you could go on, anonymously forever. This is why optimizing your profile becomes one of the first issues you need to consider. And, of course, you should regard this as an ongoing task for as long you use the platform for whatever reasons you have. Instagram has an engagement rate 58 times higher than Facebook but in order to get there, you need to get to work and make sure you are doing it right. One of the first things you need to consider when you are optimizing your profile is to have proper visuals uploaded and set in place. I am referring to your branded logo that should be the first thing a visitor sees upon landing to your profile page. TIP: You can pair the logo with a profile image and change the image from time to time. However, it is important to keep the logo visible at all times. There are more than 2.5 million businesses that are already using Instagram with a business profile. Worldwide. Therefore, if you need your account for marketing a specific brand or company, I recommend switching from personal to business. The process is free of charge and it will take you just about a couple of seconds to do it. We know that 80% of the users are following at least one brand. The business account allows you to include a direct contact button on your profile which facilitates social media customer support. The button can be either set up for a direct Instagram message, a direct email or SMS to a brand representative. Considering that you are allowed to share a single live link on your Instagram profile, you should never neglect this option and at the same time, choose wisely. However, there’s a catch to this option. You can use a tracking link on your profile and thus, count how many visitors come to your page via Instagram. Bit.ly or other similar services can help you track visitors and see how your campaign performs in the long run. 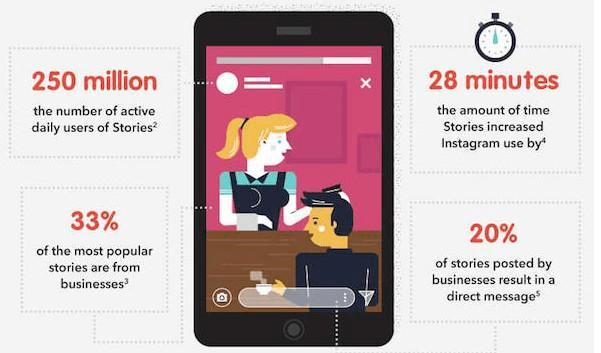 There are over 250 million stories published every day on Instagram with over 33% coming from brands. While this channel is quite new considering the rich Instagram history, stories are great for marketing due to their increasing popularity. An Instagram profile that produces and publishes frequent stories is a profile that gets to be visited and followed by people. You can easily create Instagram Stories with less effort than any other type of visual content and therefore, you can invest more time in making them more appealing, message wise. Instagram posts with hashtags receive more views and have more engagement than those who only carry a traditional description. In fact, they receive 12.6% more engagement, if we’re to talk numbers. However, generic tags are not the only way you can profit from this feature. 1.7 out of 10 Instagram hashtags are branded. Therefore, my advice to you is the following: Create a specific brand hashtag that all your fans and customers will be able to associate with you or your business. You can add it in your profile description and inside your Instagram posts as well. The profile description, however, is the place you should consider first to insert this hashtag. TIP: Beware that Instagram allows only a maximum of 30 hashtags per post. As a consequence, choose them wisely and make sure, they are selected according to your needs and strategy. A profile that makes a statement is always a good choice since the crowd is always looking for something original and out of the box. This crowd is no different than any other crowds if you are looking at the entire human history. However, in today’s context, the audience has immediate access to whatever you are doing and at the same time, they give you less time to correct errors and adapt to their will. However, if you are trying to do things the right way, eventually you’ll get there. And, when it comes to originality, there is always something to learn, some kind of inspiration to be welcomed and so on. A great option, in this case, would be to upload a multi-grid image. I am referring to an image constructed up from a series of other partial images, just like a puzzle. Why is this a valid option? Well, for once, you got to keep your viewers interested, by showing them a series of images that are not complete unless they get to see them all together. This means that they should return to your account in order to get “the full picture”. This is not directly related to your Instagram account but still, it is as important as it would have been a part of it. Do you remember the fact that I suggested you should link back to your own website? Well, if you need to be effective as a marketer, the link is important but at the same time, it is important to where do you link. Instagram is a mobile based app and therefore, 100% of the people that will follow your link will do it on their smartphones. This means that in order to be effective and get the best results, you will need a mobile friendly website. Invest in a theme that looks great on mobile phones and optimize your content accordingly. If the audience finds your website readable and valuable, they will return for more. Maybe, they will even subscribe to your newsletter or RSS feed. Instagram is one of the most powerful marketing platforms in terms of ROI and engagement. There’s a huge audience available on this social media network and most of these people are ready to interact with brands and professionals on a daily basis. 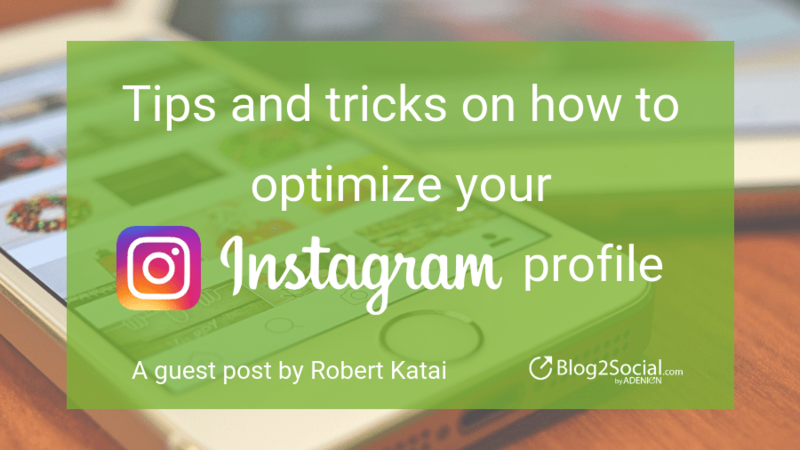 In order to be effective as a marketer on Instagram, however, you should consider optimizing your profile first and only later, on how to spread your message more effectively. With this article, I came up with some of the most important things you can do in order to optimize the profile. Should you be aware of other useful advice regarding this issue, please feel free to contribute and share with us your inputs in the comments section available below.